The Ngorongoro Crater conservation Area is a World Heritage protected area which is located 180kilometers (110 mi) in the Crater Highlands area of Tanzania in west of Arusha and the conservation area which is named after the Ngorongoro Crater a large volcanic caldera within the area is administered by the Ngorongoro Conservation Area Authority which is an arm of the government of Tanzania together with its boundaries follow the boundary of the Ngorongoro Division of the Arusha Region. In the year 2009 new restrictions on subsistence farming and human settlement in the Crater were placed by the Ngorongoro Wildlife conservation Act displacing the Maasai pastoralists most of whom had been relocated from their ancestral lands to Ngorongoro and to the north when Serengeti National park was established by the British colonial government in 1959. The Craters’ name which has an onomatopoeic origin, it is seen that the Crater was named after a sound which was produced by the cowbell “ngoro ngoro” by the Maasai pastoralists and the various hominid species have occupied the area for 3 million years according to the fossil evidence found at the Olduvai Gorge. 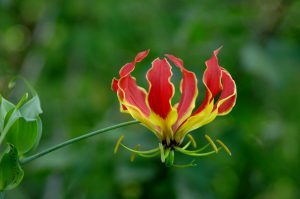 A few thousand years ago the hunter gatherers were replaced by the pastoralists and 2,000 years ago the Mbulu came in the area and were later joined by the Datooga in the year of 1700 and both groups were driven away from the area by the Maasai in the 1800s. There are Massive fig trees some of which may have been planted on the grave of the leader of Datooga who died in battle around 1840 with the Maasai. Upto date, the Datooga are scared of the Maasai live northwest of the Lerai Forest. Until 1892 when it was visited by Oscar Baumann there are no Europeans that are known to have set foot in the Ngorongoro Crater. Friedrich Siedentop and Adolph the two German brothers farmed in the Crater until there was an outbreak of the world war 1 after the land being leased from the administration of the German East Africa. These brothers organized shooting parties regularly and also attempted to drive wildebeest herds out of the Crater to entertain their German friends. The first game preservation ordinance which restricted hunting to permit holders throughout Tanzania was passed in the year of 1921 and hunting on all land was prohibited within the Crater rim except the former Siedentop farms and the ordinance of the National park of 1948 which was implemented in 1951 created the Serengeti National Park (SNP), the ordinance of the National park however caused problems with the Maasai and other tribes resulting in to the ordinance of the Ngorongoro Conservation Area (NCA) in 1959 that separated the SNP from NCA. The pastoralists that is the Maasai who were living in Serengeti National park were relocated systematically to Ngorongoro increasing the Maasai’s population and livestock living in the crater. In 1976, the establishment of the Ngorongoro Conservation Area Authority was made by the Game park Laws Act (miscellaneous amendments) and owns the majority land of the NCA including the Crater. In 1979 the area was made a UNESCO World Heritage Site and the Wildlife Conservation Act of 2009 went ahead to restrict human use of the Ngorongoro Crater and a legal framework to politically disenfranchise and forcibly displace traditional pastoralists was created. 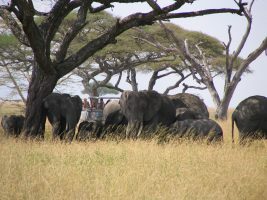 The Conservation area land is unique and multi-use because it is the only in the conservation area that Tanzania protects wildlife while allowing the human habitation and the use of this land is controlled to prevent the negative effects on the wildlife population. The area to the Northwest adjoins the SNP and is part of the ecosystem of the Serengeti and is contiguous with the Southern Serengeti plains. The plains also extend to the north into the unprotected Loliondo division and are kept open to wildlife through practiced pastoralism called transhumance by the Maasai, the south and western part of the area are volcanic highlands including the Ngorongoro Crater which is famously known and the lesser known Empakaa Crater. And to the South and Eastern boundaries which are defined approximately by the rim of the East African Rift wall preventing animal migration in these directions. The Conservation Area is a home to approximately 25,000 population of large animals mostly ungulates and the large animals in the crater include the wild hunting dog, golden cat, the black Rhinoceros and its local population of which declined from about 108 to 66, the African buffalo, hippopotamus. 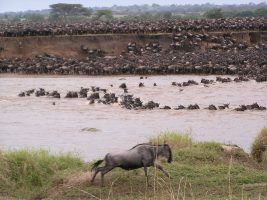 Other ungulates within the crater include one of the largest animal migrations on earth over 1 million blue wildebeest, 72,000 Grant’s zebras, the common eland, waterbucks which are found mainly near Lerai Forest, Grant’s and 350,000 Thomson’s gazelles. These animal migration pass through the area across the Serengeti ecosystem and the calve in the short grass plains which straddle the Ngorongoro Conservation Area and also it harbors the highest density of mammalian predators including the densest known population of lion in Africa. 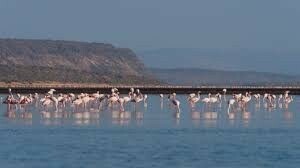 the Ngorongoro Conservation Area is also a home to over 500 bird species. The Olduvai Gorge which stretches along the Eastern Africa is a steep sided ravine in the Great Rift Valley situated in the plains area in the eastern Serengeti in northern Tanzania which is about 50 kilometers long. 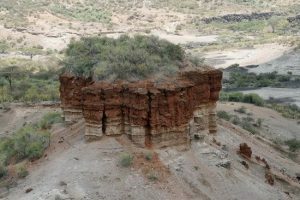 The Gorge is said to be the seat of humanity after the discovery of the earliest known specimens of the human genus and hominid footprints of our genetic ancestors and their relatives, have been found in sedimentary rock of 3.7 million years old and the Gorge is after the Maasai word for the wild sisal plant sansevieria ehrenbergii. The Ol Doinyo Lengai known to the Maasai as the” Mountain of God” casts its conical shadow across the plains from the edge of the Great African Rift Valley escarpment further northeast near the border of Kenya. Last erupting in 2007, it is still active. Here the travelers climb its lava encrusted slopes to stare down into its main crater and also rewarded with occasional spurts of lava and sulfur fumes from the smaller surrounding cones. Lake Natron is saturated so heavily with volcanic ash from Ol Doinyo Lengai that provides a toxic, protective moat for Africa’s largest concentration of breeding lesser and greater flamingos and the lake is fed by hot mineral springs and it is sometimes blue or green shining like a jewel. 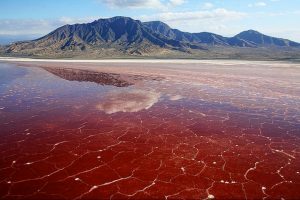 Lake Magadi is a shallow fiercely an alkaine from sodium carbonate, with azure blue and fringed by hundreds of long legged pink flamingos. These flamingos most of them are lesser distinguished by their dark red bills that eat blue-green spirulina algae. Other flamingos include those with black-tipped pink bills, slightly bent to facilitate sifting shellfish from the rich bottom mud. In dry season, the lake noticeably shrinks leaving thick crystalline salt pans used as licks by hyena, jackals among others to supplement their diet. This forest consists of tall yellow slim barked acacias forming an airy, lace-canopied wonderland of glades which is much frequented by bushbuck, hyrax, elephant, rhino, eland and hundreds of birds. Because of the damages by elephants which tear off whole branches rather than merely grazing but the old forest is regenerating slowly however this foliage are the preferred food of the rare black rhinoceros. 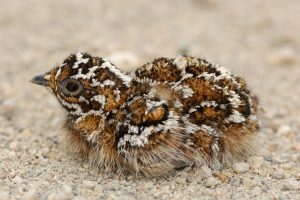 The seedlings of the forest are spreading through the home to wading birds and hippopotamus called the Gorigor swamps a favored drinking place of thousands of ungulates during the dry season. This is a black dune of moving sand hundred meters in length and nine meters high which has been formed by the Ash from Ol Dionyo and moves ingeniously slowly across the plains at 15 meters rate every year. Empakaai crater filled half way from the rim by an unusually deep soda lake having stunning exhilarating panorama view of volcanic craters and depressions towards Ol Doinyo Legai, the Great African Rift Valley among others. The Olmoti Crater being a very quiet and a shallow grassy hollow and lovely is where the Maasai pasture their cattle from alongside reedbuck, eland, bushbuck and an occasional buffalo. The Munge stream and the south wall of the caldera forms a delightful waterfall that plunges several hundred meters into the Ngorongoro Crater to feed Lake Magadi. Due to the existence and mixture of grassland plains, lakes, forest and marshes provide habitats for a wide range and variety of bird life such as the lesser flamingos which fly into feed from their breeding grounds at Lake Natron and in there is arrival of the Eurasian migrants at the pools and the white storks, yellow wagtails and swallows mingle with the local inhabitants, stilts, saddle-bill storks, ruff, ibis and various species. Also, the ostrich, Kori bustard are found within the area hence offering opportunities of viewing birdlife. This activity is done within the Ngorongoro crater and gives you stunning opportunities of venturing into the disappearing mist of the crater in search of resident wildlife such as the wildebeest, Ngorongoro lions, rhino and zebra. This activity gives you an encounter with the semi-nomadic people who have ever lived in Kenya and Tanzania for a very long time called the Maasai. You will experience their cultural way of life in their bomas, customs, tradition and also learn their traditional songs and dances. These Maasai people are welcoming, willing and eager to share their information about their customs.